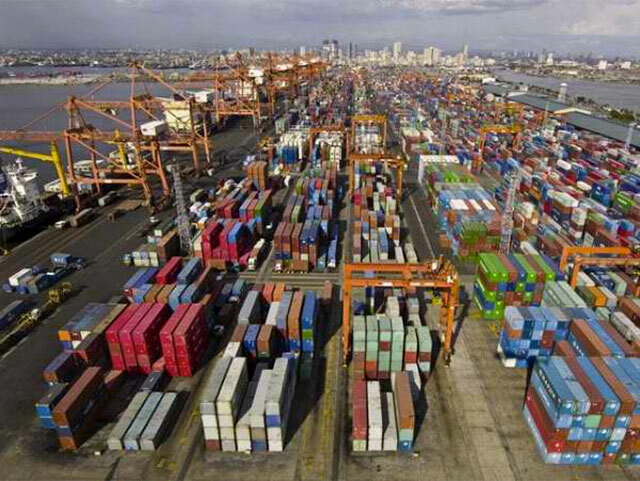 MANILA, Philippines – Malacañang has appealed to the private sector to pull out as many of their containers as they can from the Port of Manila in view of two major events that would interrupt port operations this month. Secretary to the Cabinet Rene Almendras – tasked to resolve the congestion in Manila ports – made the call to importers and businessmen in a news briefing on Tuesday, January 6. Almendras cited two upcoming major events, the Feast of the Black Nazarene on Friday, January 9; and the visit of Pope Francis from January 15-19. Both events, to be held in Manila, are expected to draws millions of people. “We are appealing to the private sector, we are appealing to the importers, to all the cargo handlers: Can you please pull out as much of your cargos now while we are able to? What do we mean by now? That’s today, tomorrow, and Thursday," he said.